We don’t just clean the carpet surface, nor do we pressure wash the dirt down below the surface, only to have it reappear as the carpet dries. You want us to remove the dirt and unhealthy elements from your carpet and that is what we do. Carpets not only GET cleaner, they STAY cleaner for longer. If you have ever used soda water to remove a stain from a shirt, you know how the carbonating principle works. We merely perfected it for carpet cleaning. The unbelievable cleaning power of carbonating solutions creates a powerful reaction that deep cleans carpets in a safe and gentle way. And because the bubbles do the work for us, our system does not need to use the gallons of soapy cleaning chemicals that steam cleaners or do-it-yourself machines rely on so much. Soapy residues attract dirt like a magnet, causing your carpet to get dirty again faster than ever. 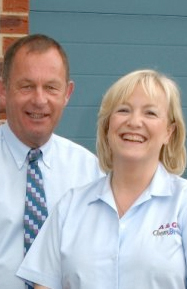 Our method of carpet cleaning will help your carpets keep cleaner for longer. Many people assume that the best way to clean their carpets is through steam cleaning by “soaking” their carpets and “sucking” the water back out. But this soggy approach may have some serious drawbacks. Steam carpet cleaning can dump buckets of water on your carpet and pad. When left behind, this water can create a breeding ground for mould and bacteria in just hours. It can also leave behind chemicals and soapy, dirt-attracting residue. That is why our low moisture carpet cleaning process is the healthier option. Steam carpet cleaning uses gallons of water and high pressure. It drives dirt and moisture down into your carpet’s backing and underlay. This may result in, longer dry times which can create a breeding ground for mould and bacteria and reappearing spots caused by the dirt “wicking” up the carpet fibres as the carpet dries. Enjoy noticeably cleaner, healthier and fresher carpets throughout your entire home. 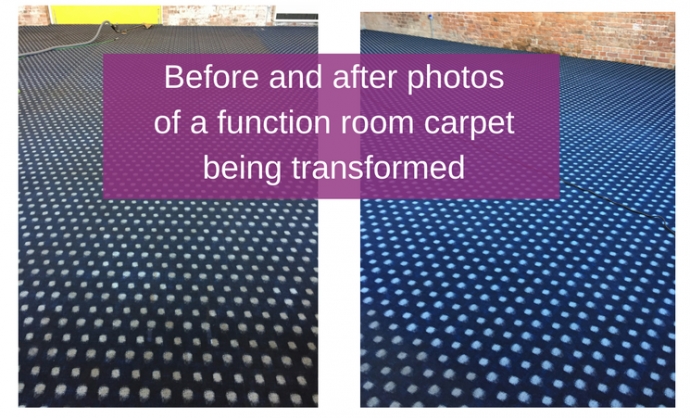 Our natural, deep-down Carpet Cleaning & Protect service will leave you with visibly cleaner carpets whilst improving durability and extending their life. What Our Customers Say .. I have used you many times and have been very happy with the outcome and service provided. I have also recommended you to others. 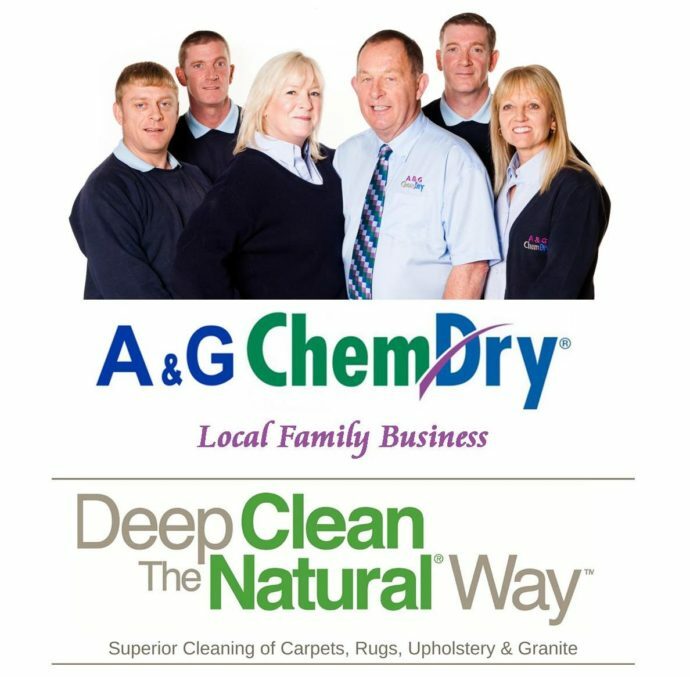 A&G Chem-Dry was recommended by a friend. Brian was courteous, pleasant,professional and thorough. The work completed was more than good it was fabulous. Excellent service from start to finish. Barry was very courteous, prompt and professional. Brian the technician was very helpful and friendly. He did a brilliant job of cleaning my carpets. I was recommended by a friend to A&G Chem-Dry. 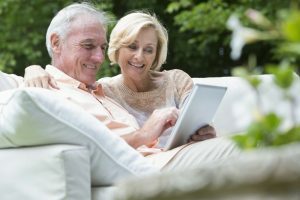 Everything was done well, courteously and professionally. Barry has done an excellent job.Will be recommending you. 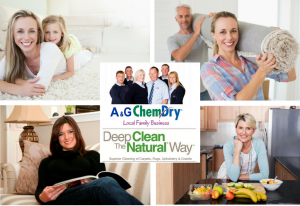 We chose to use A&G Chem-Dry because of the reviews and because they have been in business for so many years. Barry was absolutely brilliant and did a fabulous job. As well as our low-moisture carpet cleaning service, we also specialise in upholstery cleaning and protecting, cleaning and polishing granite work surfaces and cleaning and reviving rugs.